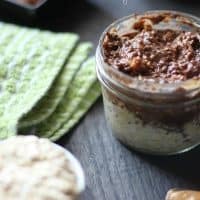 This PEANUT BUTTER CHOCOLATE CHIA PUDDING highlights my favorite flavor combination in a healthy cup of goodness. 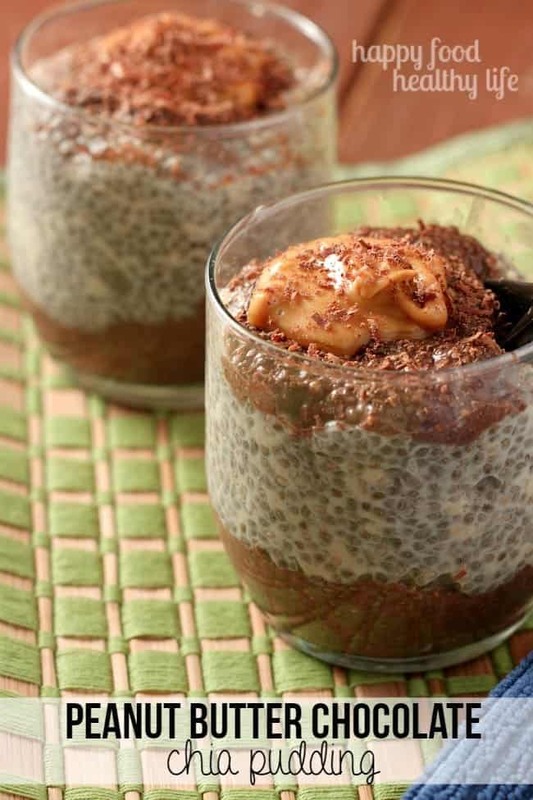 Chia Pudding. I’ve been wanting to try this stuff since I first saw it hit the internet a year or two ago. But it scared me. The texture. In my mind, it could be either absolutely amazing or it would be the grossest thing I ever put in my mouth. To increase the probability of me enjoying this cup of chia, I was sure to make it as flavorful as I could. Minus the unhealthiness of packaged treats. 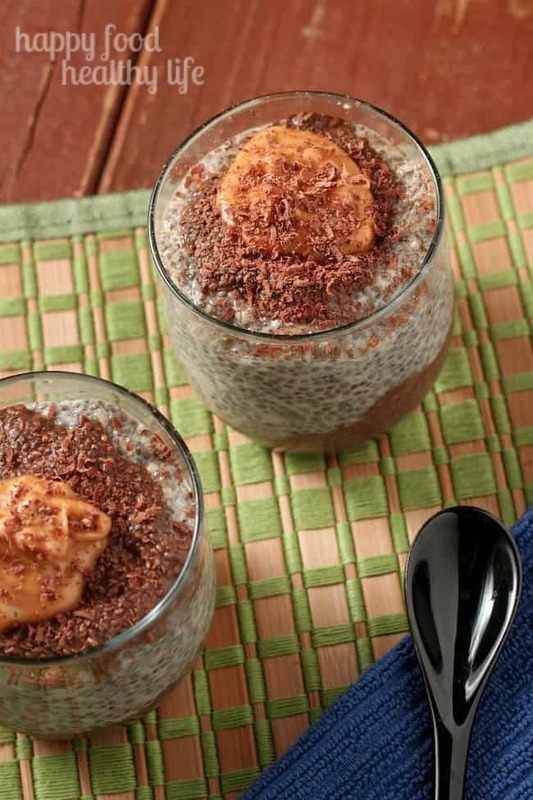 After letting the chia seeds soak in soy milk and the flavors all work together so it would taste as close to a dessert as possible, it was time to put this totally weird, but brilliant, treat to the test. I mean, obviously, if it’s on the blog here, I thought it was a hit. But I just have to elaborate. The peanut butter layer of pudding, although I know we all love how unique Reese’s peanut butter is, wasn’t artificial. It tasted natural, yet sweet from the vanilla in the soy milk. The chocolate was also natural-tasting and such a perfect combination for the peanut butter. And the texture. It was not scary at all. It didn’t make me feel queasy and gross at all like I was afraid the little gems of chia would do. Basically what happens when you get chia seeds wet is that they expand and turn gelatinous. I know that’s kind of a gross word. But the longer it sits, the more pudding-like and uniform the combination becomes. So there you are eating what tastes like a dessert, when in all actuality, there is not a whole lot of sugar-laden treat-like qualities to this recipe. Chia seeds (full of protein), vanilla soy milk, homemade natural peanut butter (which include JUST peanuts), cocoa powder, and… yup, that’s all you need for this one. Super simple. Super yummy. Super mind-tricking. You think you’re eating Reese’s but you’re really just eating good-for-you things. 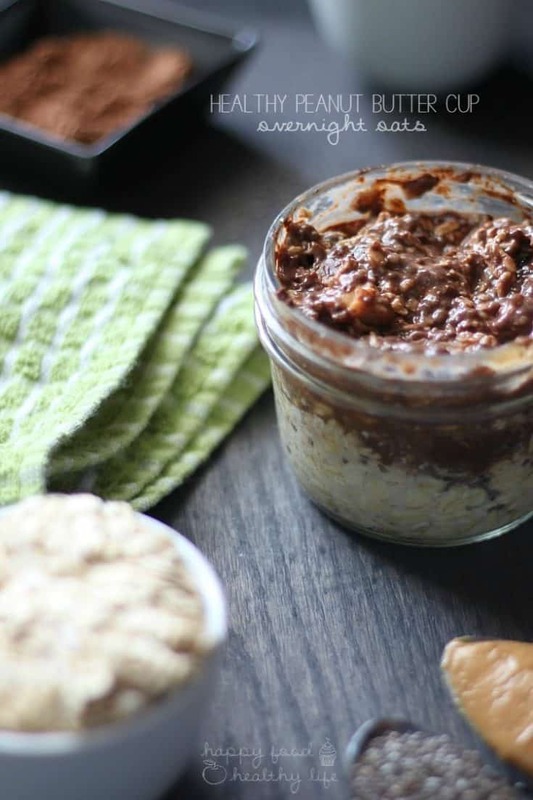 In a small bowl, combine 1 cup soy milk and 2 Tablespoons peanut butter, using a small whisk. It may not combine completely, but mix it the best that you can. In another small bowl, combine the remaining soy milk with cocoa powder. Once everything has been combined, stir in 1/4 cup of chia seeds into each bowl. Cover, and place in the refrigerator for at least 6 hours (overnight would be best). 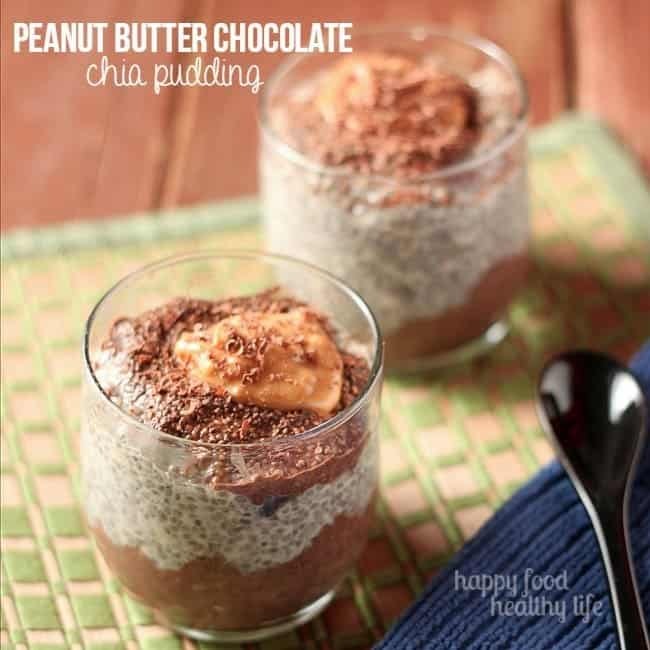 In two small glasses, layer the chocolate and peanut butter chia "pudding." Top with a small spoonful of peanut butter and either cocoa powder or a few shavings from a dark chocolate bar. Girl, I am completely totally obsessed with chocolate and peanut butter as well. I could live on it!! I will be making this ASAP! I hope you do Kristen! You’re going to love it! I bought some chia seeds a couple of weeks ago and they’ve just been sat in the cupboard because I didn’t know what to do with them. The berry pudding recipes I’ve seen haven’t really hit the mark, but your recipe sounds delicious! Peanut butter and chocolate and it’s still healthy? I’m there! yes ma’am! This is a perfect way to use those seeds and to get your Omega 3’s! Also, throw a tablespoon into your smoothies, and you’ll never even know they’re in there! Yea! I’m trying to eat alkaline right now, so this is a great recipe for me! Pinning! Thanks for linking it up at Monday Funday! I hope you try it Katie! How long does it keep? I’ve been dodging chia for a year too — but yiu just caught me with talk of chia Reese’s. Nom! Kendra is lasts at least a couple of days covered in the refrigerator. I hope you try it out!! This was really delicious, however, I did have to add some agave for sweetness. I may try stevia next time. I’m so glad you enjoyed it and were able to tweak it to your liking!